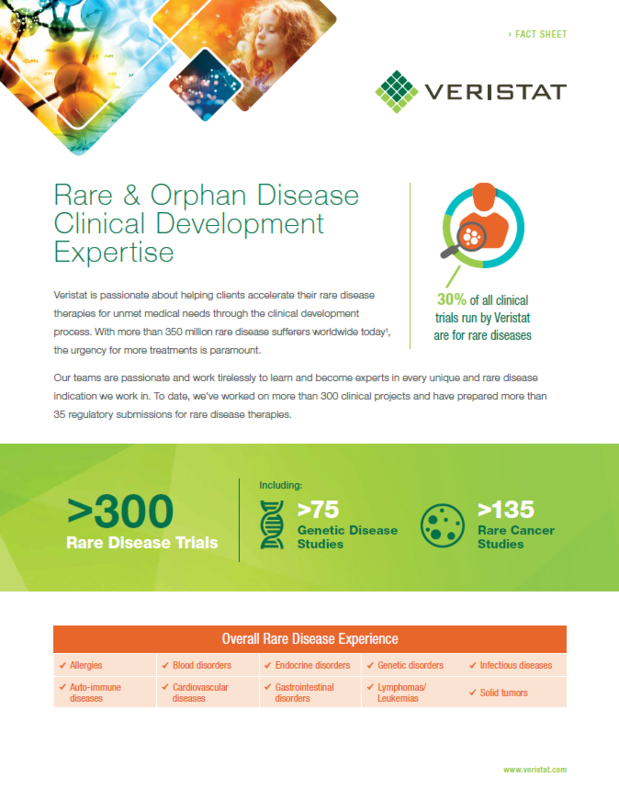 Given the existence of over 7,000 rare diseases, Veristat works to support Rare Disease clinical trials from beginning to end. We want to work with you to improve and save the lives of those suffering from these largely unrecognized, but lethal diseases. Learn about our experience and how we can assist you in your next Rare Disease clinical trial.